In 2015 the African Union (AU) Peace Support Operation Division and the African Union Mission in Somalia (AMISOM) asked the Institute for Security Studies Training for Peace Programme for mission-specific training to enhance the capacity of police before their deployment in peace operations. Training was needed for individual police officers, the Somali Police Force and AU police officers. The course aimed to prepare police officers to effectively support the implementation of the AMISOM police mandate. It was delivered in collaboration with the Norwegian Police Directorate and sought to help countries contribute the right police officers to AU and UN peace operations. 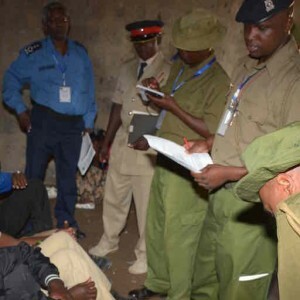 Eighteen Kenyan police officers participated in the training, and of these, seven were deployed to AMISOM one week after the course concluded. The vast majority of trainees said their understanding of AMISOM’s mandate, structure, achievements and challenges was vastly improved after the course. This was confirmed by an evaluation conducted six months after the training. One participant who was deployed to AMISOM said the training provided a good basic knowledge of what to expect, how to respect diversity, and how to conduct oneself in peace missions – making it easier to work in a difficult environment. Another participant said the training provided valuable insights into the situation in Somalia and prepared them for the challenging mission ahead. The course was delivered by: Meressa Kahsu (ISS), Superintendent Hans-Petter Kielland (Norway), Inspector Flemming due Nielsen (Denmark), Superintendent Dorte Pilegaard (Denmark), Wouter Meiring (South Africa), ASP Albert Akpolih (Head of induction training, AMISOM), Commander Yilma Gebeyaw (Ethiopia), co-facilitator and OPC Jacques Gasabanya (Burundi).